One of Android 8.0 Oreo's biggest features is picture-in-picture (PiP) mode, and given YouTube's status as the most popular video-sharing platform in the world, you'd be forgiven for thinking that quite a bit of PiP use would be for YouTube. Unfortunately, you'd also be wrong, as Google has made it very difficult for people to actually use picture-in-picture mode. 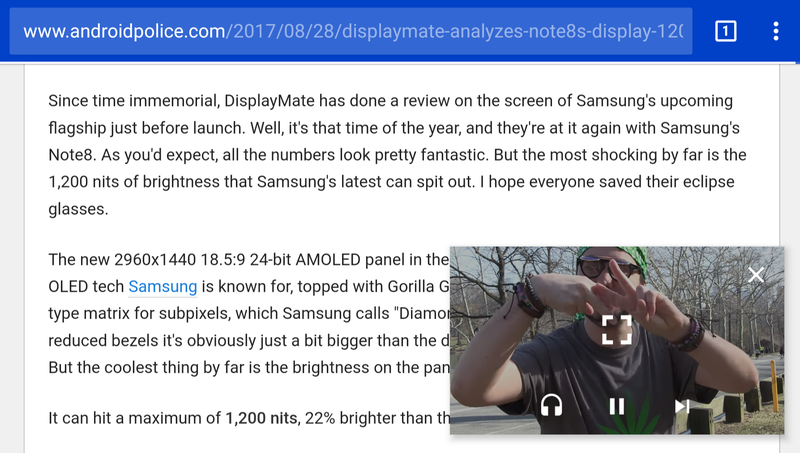 Picture-in-picture itself can be used for any video in many apps so long as you can make the video full-screen, but YouTube has chosen to bundle it into its YouTube Red service. It's not hard to see why Google would do this; background play was already a feature of Red, and PiP is basically an extension of that. You might wonder about whether background play should really even be exclusive to YouTube Red, but hey, what's done is done. 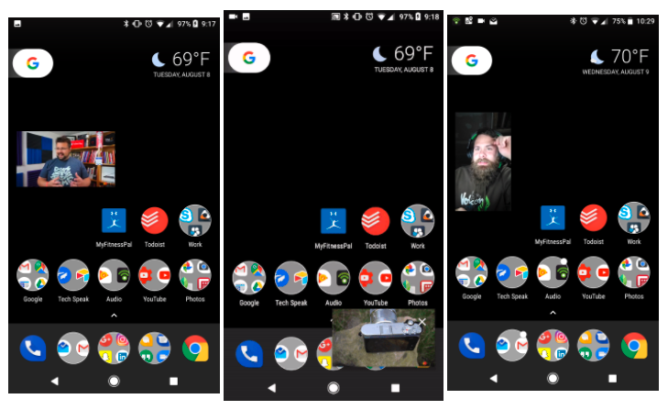 The issue here is that Google is so heavily pushing picture-in-picture as one of the main selling points of Oreo; in fact, in its "Welcome to Android O" guide, it's the second feature after "redesigned settings menu," which isn't really so much a new feature as a layout change. Despite this, the app that most people will use PiP in is... unavailable for most people. How does that work, you might ask? As you might know, YouTube Red costs real money - $9.99 a month in the US, to be exact. That's not something that everyone can swing, and not everyone who can pony up the Hamilton per month will want to. On top of that, it's only available in a total of five countries: the US, Australia, South Korea, Mexico, and New Zealand. That means that if you live in any of the other 190 countries (aside from China and North Korea) and want to use PiP officially, even if you're willing to pay for it, you're out of luck. So, as a recap: picture-in-picture, which is one of Android 8.0's biggest and most heavily-pushed features, is only officially accessible for paying customers in five countries for the world's largest (and Google's own) video-sharing platform. Google clearly knows this is an issue, but we have yet to see what it'll do about it. Taking PiP out of Red exclusive status would cause background play to become less useful, and taking both PiP and background play out of Red would cause the service to lose a giant selling point (let's be real - very few people, if anybody, care about the exclusive content.) Making PiP available to everyone in the countries Red isn't out in would likely anger Red subscribers. Let us know what you think about a potential solution in the comments below.